Brief Synopsis – A US soldier during WWII must fo all he can to survive the carnage around him in the days right before the Battle of the Bulge. My Take on it – I saw this movie about 17 years ago and its impact stil resonates til today. This is a war movie about an anti-hero who does all he can to survive the war but still continues to follow orders and take his men (reluctantly) into battle. I have always been a fan of Ron Eldard’s work and he gives a very powerful performance in this movie as the lead. 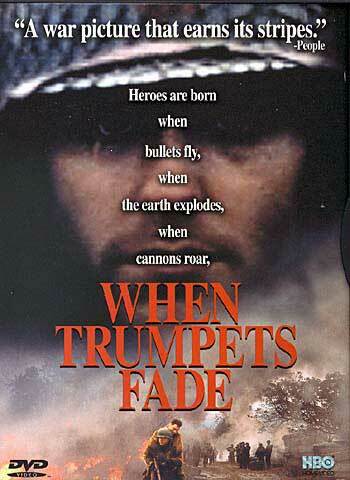 This movie truly brings home the message that even if you have no desire to be heroic, you can still contribute and lead your men to complete their duty. This isn’t your typical anti-war movie and proves that a movie doesn’t always need to have a heroic hero in order to tell a great story. Bottom Line – Shows us a different side of how soldiers dealt with the war and their desire to survive it. Eldard is terrific here as the anti-hero. Brings home the message that not everyone needs to be a hero in battle in order to save the lives of your men. Highly recommended!